The Rev. Samuel Peters had the oversight of the church for 10 years from 1816-1826. 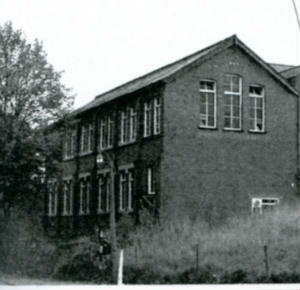 The Sunday School was started, so it is the oldest in Shepshed. Superintendents at that time were Edward Walker, C S Foston, Joseph Atkin, William Draper. This new chapel, which now contained box pews, was opened on 7th May 1834 and lit by candles at that time. Towards the total cost of £630, no less than £240 was raised in Shepshed alone. It was not long before increased accomodation was needed and Baptist Magazine in 1939 recorded 'that a gallery had been erected, and several baptisms had taken place. The Baptist place of worship is a large and convenient building , with schoolrooms etc. 'At first, trouble arose through the introduction of musical instruments, but subsequently the prejudice died down and a capable choir was formed. Stringed instruments in chapel became obsolete in 1866 when a harmonium was obtained for public worship with thoughts of an organ. The Sunday School teachers in 1867 wanted to build a new schoolroom - there was great opposition but two Loughborough ladies held a bazaar and put £100 in the bank. More efforts were made & the new schoolrooms were built & the chapel cleaned. All this was done for £420, all of which was raised before the opening day. Rev. T. Rhys Evans, of Countesthorpe, took over the pastorate on 11 December 1871, and remained until 1890. Three years after he came, in 1874, a new baptistry was erected in the chapel, the custom hitherto being to use the village brook for baptisms and flood gates were used to dam it for the administration of the rite. The brook (which still runs at the bottom of the chapel yard) was said to possess healing properties. The baptistry is today situated in the centre of the platform under the pulpit. On 3 January 1876 , a “British School “ was started on our premises as a public elementary school - the headmaster was Thomas Higman and 4 classrooms were used. In 1877 galleries were erected in the chapel at a cost of about £450, the greater part of which was raised before the re-opening services. This brought the seating to 600. A few years on, the ground adjoining the chapel, was purchased at a cost of £400. A few years later a minister's house was erected on this ground. The new residence was first occupied by Rev. Evans, having cost about £400. In 1886, with no little patience and diplomacy, a movement was made towards obtaining an organ for use at public worship. Ultimately it was decided to purchase for £60 an instrument belonging to to the Congrgational Church at Belper and this was conveyed to Shepshed by Upton Goodacre's horse wagon. It was re-erected by W Taylor of Loughborough for £10 but caused quite a stir because to accommodate the Belper pipes and bellows the pulpit had to be removed and an organ platform and choir gallery erected in the chapel. For the minister a most unfortunate arrangement, as it placed him with almost a third of his congregation behind his back; and he was in constant fear lest the foundation post of the pulpit – for it was now erected on the old windmill principle – should give way and he be precipitated into the baptistery. These misgivings did not last long as their cause was removed. The organ was shifted into a separate chamber, and the pulpit and choir gallery put back in their original position. Rev TR Evans resigned in 1890, retired from the Ministry and moved to live in Leicester. Rev. E. M. Andrews succeeded as pastor of the church in January 1890 and in 1893 the Bi-centenary of the church was celebrated. In that year considerable alterations were made to the interior of the chapel – the result being a great improvement in the appearance of the chapel and considerable comfort to those who occupy sittings near the pulpit. The baptistery also is now open, and when used, the ordinance can be witnessed from all parts of the chapel. The schoolrooms and chapel were cleaned, painted and decorated, and became one of the best village churches to be found in the four counties. The entire cost amounted to £106, towards which about £70 was raised by subscriptions, and £10 at the re-opening services. In 1896 Rev Andrews received an invitation from Warrington Baptist Church to be their Pastor but decided to stay in Shepshed. In 1898 he received an invitation to Ramsbottom Lane Baptist Church and having accepted he left Shepshed that Whitsun. Rev H H Thompson became Pastor in October the same year.